It's our 50th Episode and to celebrate, we have a guest. 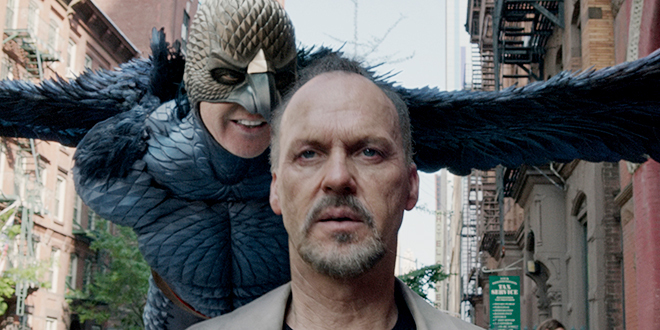 Legends Podcast's Wing joins us as we talk about the 2015 Best Picture Oscar Winner Birdman (or the Unexpected Virtue of Ignorance). Get in on the conversation about a film that has a whole lot to say, or maybe only appears to, about the state of art, movies, superheroes and actors. Starring Michael Keaton in an Oscar-nominated role as a washed-out movie star trying to jumpstart his career while putting a beloved superhero role behind him. But does the film soar or did it become street pizza?